It's that time of year again - I've been sourcing some season apropriate stock for Homeward Bound Vintage right before my little summer holiday! As the time for sun, beach and all around fun times is nearing its end, I thought I'd offer a 20% off code at the bottom of this post. See what's new and make the most of it! 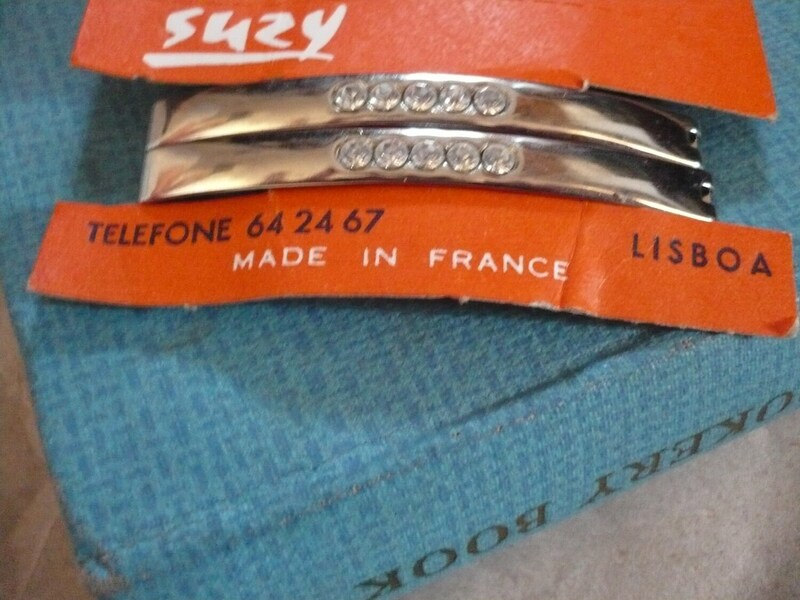 The swankiest deadstock diamante hair barrettes by Suzy, made in France and sold in Lisbon between the 1960s and 1970s. Due to their classic style, they'll accent a 40s, 50s or 60s do beautifully Each pair comes with original paper packaging. One of the most sounding names in vintage footwear is the great french designer Charles Jourdan, the swift hand behind this lovely model. 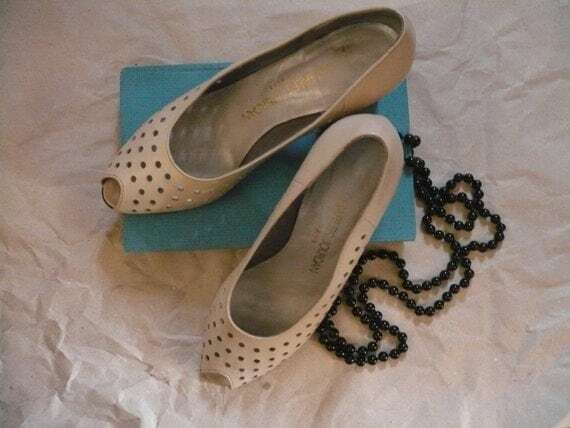 If there ever was a comfortable peep toe low heel, it's this perfect perforated number in smooth cream leather with a statement 2 inch wood heel. Marked as Made in Portugal, probably in the 1970s to 1980s, this lovely pair seems to have left the house but once, remaining in excellent condition with impeccable heel covers. These are just the kind of shoes that turn heads either paired with a nice day dress or even a cocktail number. 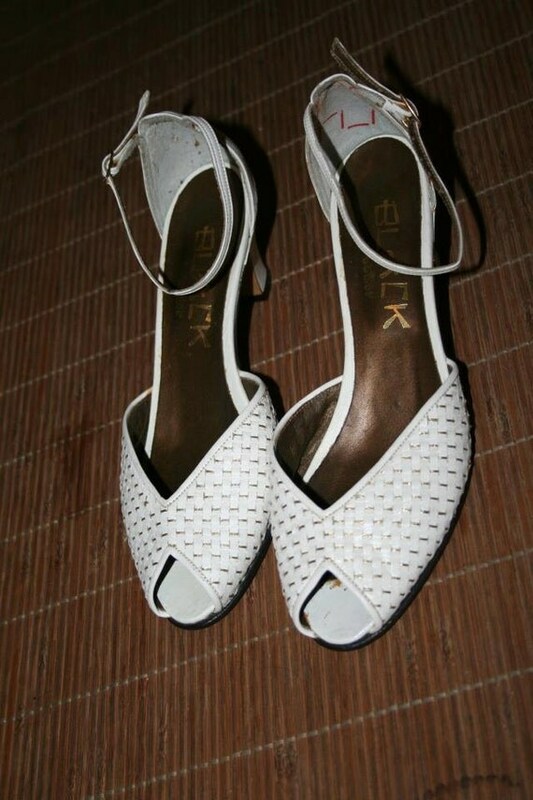 These incredible Black Bottier new-old stock white leather and gold woven peep toe kitten heels feature spanking new leather soles, and are ready for a night on the town. Their condition is fabulous, considering their 50 years of age, and they have only the faintest storage marks to tell for it. 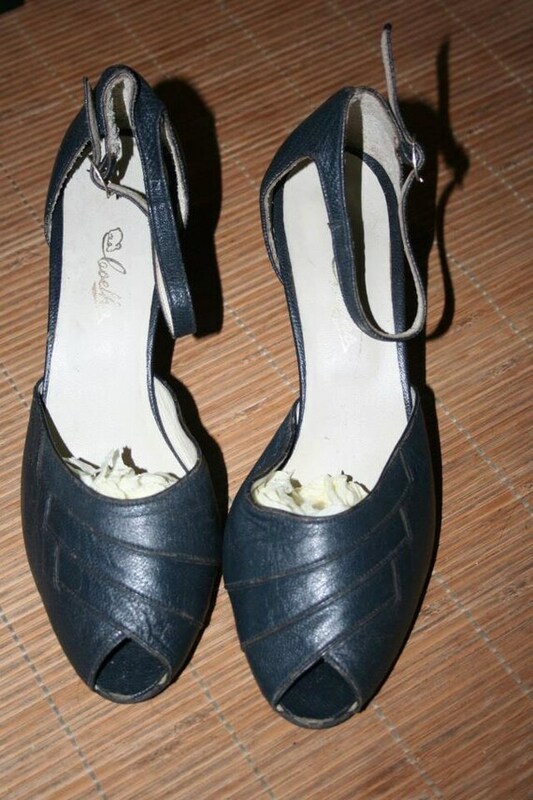 These navy leather peep toe heels are real showstoppers, which is probably why they have been well loved before I acquired them. They could use new heel caps and sole reinforcement, but the original leather sole is still in good condition despite wear. 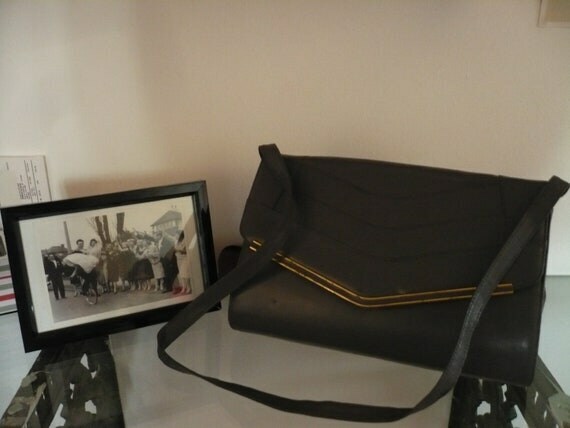 Stylish and practical leather handbag in an envelope shape with gold tone metal accents. Its crafted in a great shade of grey, so it'll match everything and anything for day or evening wear. The roomy inside is in fantastic condition, and the leather has but a few scuffs to tell for its age. Get 20% off any of these items from Homeward Bound Vintage using discount code code SUMMERHOLS until September 15th. Enjoy!